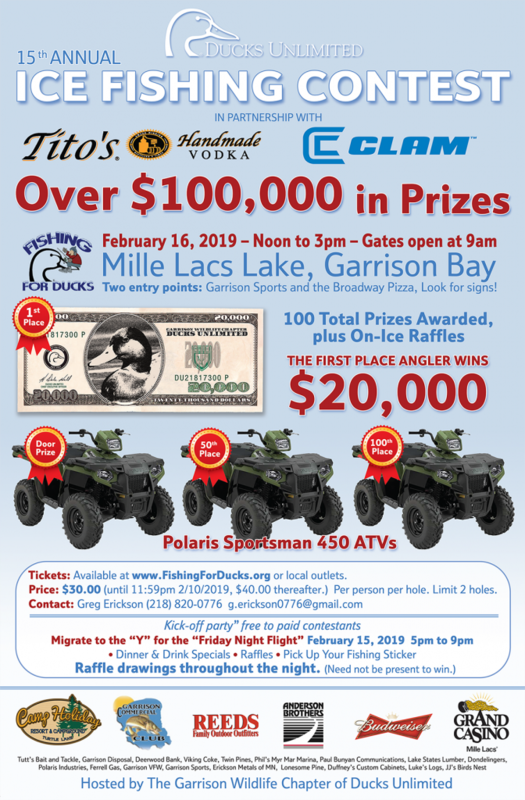 Sponsored by the Garrison Wildlife Ducks Unlimited Chapter, Fishing for Ducks started in 2005 and draws more people than any other Ducks Unlimited event nationwide. This contest is open to participants of all ages and will be located in the Garrison Bay area of the lake. Walleye, northern pike, perch, tullibee, burbot, rock bass, largemouth bass, crappie and sunfish are eligible in this tournament. Last year, a 6.51-pound northern pulled in the top prize. All proceeds from the contest benefit Duck’s Unlimited’s mission of conserving, restoring and managing wetlands for waterfowl. Saturday Noon till 3 pm. Gates open at 9 am.